Amarildo de Souza This unskilled construction worker, a resident of Rocinha favela, apparently died as he was being tortured by police in July 2013. His body was never found. Twenty-nine police officers have been charged with various aspects of the crime but as of February 2015 a verdict hadn’t yet been reached. His death marked a shift in public opinion, away from automatic support for pacification and towards a more critical stance. Asphalt versus Hill (asfalto/morro) Brazilians think of the city divided into these two categories, with the formal city on the asphalt and the informal city on the hill (although some favelas are flat). Authoritarian Society Relations and politics in Rio are marked by the legacy of slavery; Brazil imported over five million slaves, more than any country in the western hemisphere and was the last in the Western World to abolish slavery, in 1888. Middle and upper-class families often employ servants, though this is changing as they become more expensive (as of April 2013, a new law provides for overtime and other benefits). The structure has historically discouraged democratic participation and favored top-down policymaking and implementation. Barra da Tijuca Mayor Eduardo Paes has promoted—and his campaign contributors have reportedly benefitted from—the expansion of Barra, which, unlike other parts of Rio, features gated communities and malls. Residents tend to socialize in private space rather than the parks and organic in-between spaces popular in the rest of the city. This is where most of the Olympic Games will be held. Beltrame José Mariano Beltrame has been the state public safety secretary since Governor Sérgio Cabral began his first four-year term, in January 2007, and is responsible for strategizing and implementing Rio’s proximity policing program, the Unidades de Polícia Pacificadora, or UPPs. He published a memoir of his time in office (about to end), Todo dia é Segunda-Feira. BRT and BRS These are imported English-language acronyms for the city’s new responses to urban transportation needs. The BRS refers to the establishment of dedicated bus corridors (bus drivers still need better training), with functional bus stops, in the South Zone and downtown. Of four new BRT corridors, for articulated bus lines, two are already functioning. These lines connect the West Zone to the center of the city and to the international airport. Though the first has reduced travel time substantially, it’s been criticized for shoddy and incomplete construction. Bus concessions Rio’s bus system changed from licensing to concessions in 2010, but the city has apparently been remiss on checking up on contract compliance. There’s little transparency regarding this and the true income of costs of the companies involved. Many owners, Swissleaks has shown, had accounts at HSBC; this is fine as long as the funds were declared to the Brazilian authorities. Centro de Operações (Operations Center) Purportedly bigger than the NASA control room, this city-run facility, created as part of IBM’s Smart Cities program and inaugurated in December 2010, keeps an agency-integrated watch over traffic, weather, public works and much more. City officials say they will work in concert with the new state facility, below. Centro Integrado de Comando e Controle (Integrated Command and Control Center) In May 2013, Rio’s state government inaugurated this facility, meant to integrate public safety and rescue forces, especially as they respond to needs arising from the upcoming mega-events. Choque de Ordem (Shock of Order) Within a historical context of lax law enforcement, Mayor Paes instituted a policy in 2009 to crack down on informal street workers; homeless people and crack users, illegally parked cars; and commercial, public health and safety, security and aesthetic chaos on the beach. 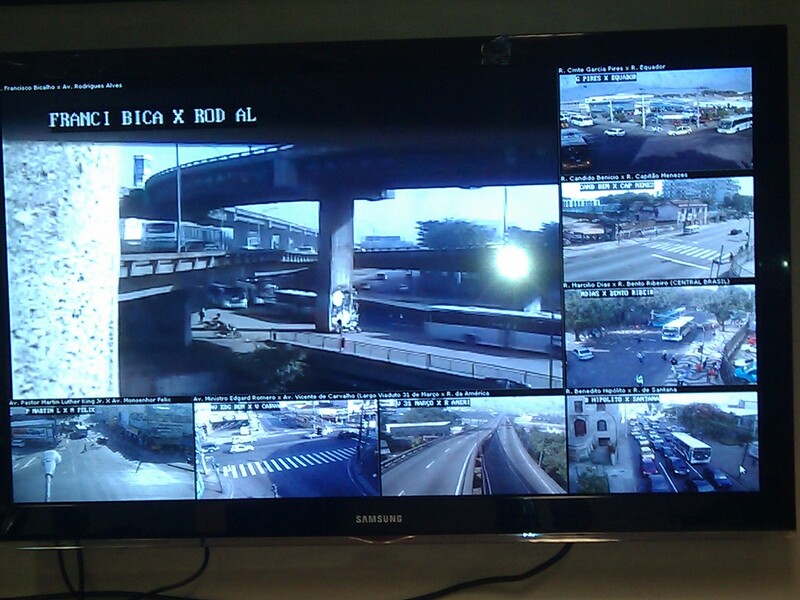 He put hundreds of traffic control aides into the streets of Rio. City Council (Câmara dos Vereadores) An elected body of 51 members, many of whom have ties to paramilitary, evangelical groups and/or personal fiefdoms. As is the case with elected officials at all levels of government, as set out in the federal constitution, the council members don’t represent specific areas of the city, but are elected at large. They rarely propose substantive policy, functioning instead as a rubber stamp on the Mayor’s initiatives. Meu Rio (see below) monitors key sessions. Corruption At the heart of almost every other problem, given that individual and group interests tend to triumph over the greater good, corruption in Rio permeates relationships between government and public contractors; and police and drug traffickers. Also, government institutions tend to turn a general blind eye to the transgressions of elites. Thanks to technology, more access to information, and greater awareness of the need for transparency, this appears to be slowly changing. Democracy A relatively new regime in Brazil, which was ruled by a military government from 1964-85. A new, utopian constitution came into force in 1988, providing a set of goals for social change. In Rio, the mainstream media has claimed its watchdog role less than have independent media and monitoring groups. Representative bodies, the Judiciary, and the notion of a participatory government process are weak links. Attorneys general at federal and state levels have begun to occupy more space. All these players jockey for power and attempt to curb and correct each other. Ideology plays little role in Brazilian politics; personal ties and favors are paramount. This is changing, however; citizens are developing the capability to mobilize over issues and to stand up for their rights, with social media as a key tool. Disque Denúncia This hotline NGO is instrumental in collecting crime information that leads to many arrests and has greatly aided the pacification process. Check out @disque_denuncia on Twitter. Centro (Downtown) The financial and commercial center of Rio includes skyscrapers and 20th-century construction, decrepit and renewed, as well as the enormous, long-neglected port area (see Port Revitalization). Main thoroughfares are Avenida Presidente Vargas, which sliced through the city in 1941-2 at the behest of dictator Getúlio Vargas, and the older Avenida Rio Branco (formerly Avenida Central), which ends at Cinelândia, a traditional space for public demonstrations. City hall has removed private vehicle traffic from Rio Branco and the square. The port area is to be linked to the rest of downtown by way of VLT trolleys. The city took down the elevated Perimetral highway that runs along the water, replacing it with tunnels and green areas. Culture The “Carioca landscape between the mountains and the sea” was named a UNESCO World Heritage Site in 2012. Rio’s mix of African, indigenous, and colonial roots has inspired a vibrant visual arts panorama that can be seen at the Museu Arte Rio and the Museu de Arte Moderna. But what most cariocas will be quickest to claim as their culture is the celebratory use of space in diverse places across the landscape of the city, to a resounding musical background. 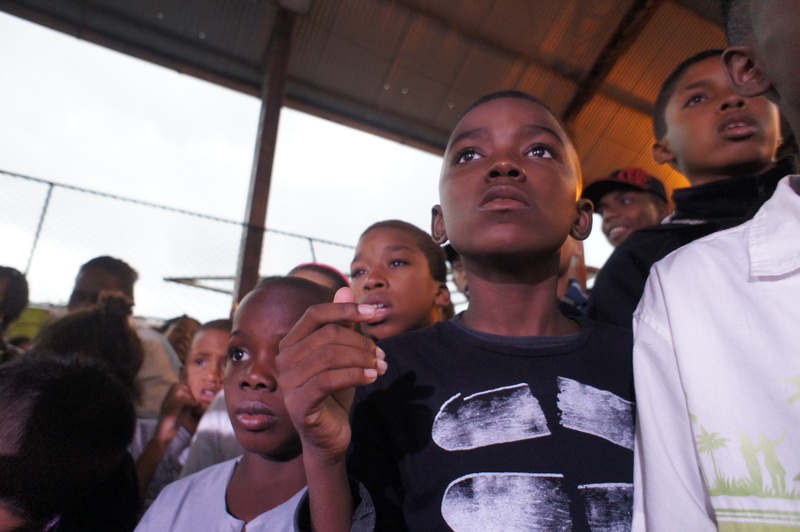 The monumental Sambódromo and samba schools in Rio’s favelas are arenas for dance and drumming; forró in the São Cristóvao area is an auditory mark of migrants from the North. For many young people, funk carioca and most recently its Passinho dance is the homegrown soundtrack . Drug Traffickers Unlike international, export-based cartels such as those in Colombia and Mexico, Rio’s drug gangs are operations that compete for local territory. The Comando Vermelho operates largely in the South Zone; the Amigos dos Amigos and the Terceiro Comando Puro run selling points in the North and West Zones of Rio. New Yorker magazine subscribers will find an excellent profile of an ADA boss on Ilha do Governador. High incomes and social status in the drug trade, as well as police corruption and legal impunity, are some of the greatest incentives for youth to join. Eduardo Paes Rio’s mayor, supported by President Rousseff, ex-Governor Cabral, and the largest political alliance in Rio (his party is the PMDB), was elected for a second four-year term in October 2012. Known for an aggressive top-down style, an ability to attract international business and real estate investment to Rio, and the 2016 Olympic win, his campaign promises include more schools, health-care centers and public housing. He has also vowed to upgrade all Rio favelas by 2020, but this program (See Morar Carioca) is moving slowly. A former exchange student to a Connecticut high school, Paes speaks fluent English. Here you can see a 2012 TED talk he gave, “The Four Commandments of Cities,” explaining some of his policies in Rio. Eike Batista Son of a former president of the Vale mining company, Batista was one of the world’s richest people and helped fund Rio’s turnaround out of his oil, mining, energy, and real estate profits. His empire began to crumble in early 2013 and he is now a defendant in many court cases. Few questioned the need for his philanthropy in a booming economy with rising tax revenues, and many praised his cleanup of the Rodrigo de Freitas Lagoon and equipment purchases for Rio’s police; until his companies went into a tailspin in 2013, he was the largest private funder of the UPP. Here a trimphant Batista is interviewed by Charlie Rose in 2010. Education Both the state of Rio, which runs the capital city’s high schools; and the city, responsible for elementary and middle schools, are working to turn around sub-par public education offerings, shunned by parents able to pay for even the most rudimentary private school. Key tools for education reform include modern management practices and access to technology for both teachers and students. Though recent reforms have aimed to improve student performance by awarding teacher bonuses, the profession suffers and fails to attract college graduates. Teachers held a long strike in 2013. Favelas Home to over one in five Rio residents, Rio’s 600 to 900 favelas are communities that have developed, since 1897, in a self-constructed, self-governing manner, in response to the lack of formal affordable housing. As of February 2015, 38 pacification units (See Pacification and UPP) had been installed in Rio favelas and five more were planned for the Maré complex of favelas. Favelas have neighborhood associations as governing bodies, although these are sometimes dominated by drug traffickers (present in almost forty percent of favelas) or milícia members (present in over forty percent). Favelas are known for their unique architectural forms such as the laje (terrace), close-knit community, and the city’s most famous samba schools, such as Mangueira and Salgueiro. A bilingual site that offers news about favelas, with original reporting, is RioOnWatch. Firjan This is the state industrial federation, a business organization which has helped lead Rio’s turnaround by funding studies and providing job and business management training, among much else. In October 2010 Firjan published an initial study undertaken by the thinktank IETS, a sort of x-ray of pacified favelas. Geography Many of Rio’s joys and difficulties come from the fact that it built at the foot of low mountains where the rainforest meets the ocean, with land in its western half long used for farming. Its urban footprint has developed and sprawled; the opening of a road and tunnel to Barra in the late 1970s allowed rapid automobile-based residential growth to the west. Rio’s tropical climate means heavy flooding in the summer is the biggest geographic risk to homes in the area. Globo News about Rio comes mostly from this family-owned print, telecommunications and electronic media monopoly that has dominated Brazil since the 1970s. O Dia’s online and print editions (owned by a family-run Portuguese media empire, Ongoing) provide competing coverage, to some extent. Health This, together with education, is one of Rio’s biggest challenges. Since 2007, the state has created 29 UPAs, or emergency care health clinics, in greater Rio. The city operates 71 Family Clinics, focusing on preventive health care. Corruption is a concern in the purchase of hospital supplies, as is the opening of new health centers sufficient to serve populations where sub-par centers have been shut down. Homicides The rate began rising again in mid-2013 and dipped back down in 2015, but the state public security secretariat of Rio, with its pacification policy, had reduced murders from a yearly rate of 50.3 per 100,000 residents in the metropolitan area in 2006 to 24 per 100,000 residents in 2012. Until recently, many homicides were carried out by police, claiming self-defense. Better training and greater accountability have improved such numbers (though an increase in the number of missing persons has raised doubts among some researchers). Approaches to reducing homicide is one of the main public conversations in the city. Since 2009, police accountability has increased and different police forces have been working together under a performance-based bonus system. Housing See Minha Casa, Minha Vida. Income assistance The 2015 minimum monthly wage is R$ 274. Families with income below R$154 per person, per month, are eligible for a monthly cash stipend under the federal Bolsa Familia program. 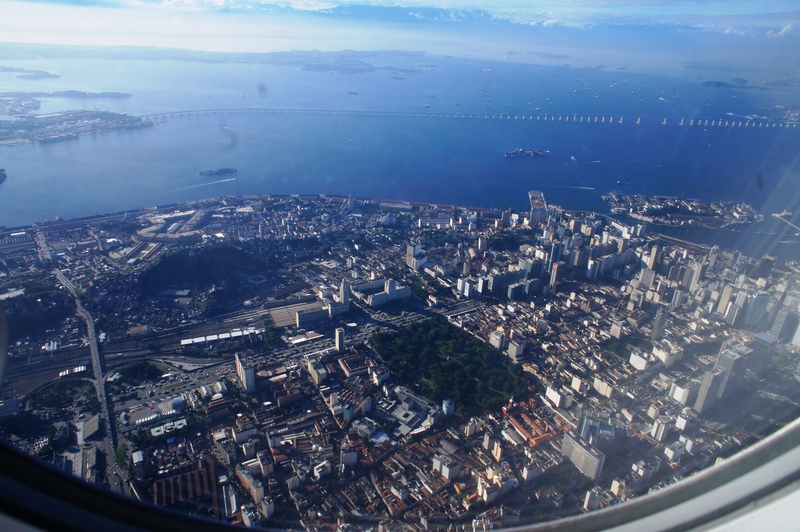 Rio de Janeiro municipal and state cash transfer programs complement the federal one. Households making up to three times the minimum wage are eligible for either technical assistance on the construction of their homes or public housing under the federal Minha Casa, Minha Vida program. Infrastructure Visitors to Rio quickly observe that traffic is atrocious, the internet is slow, cell phones are expensive, public transportation is still inadequate despite investment, and sanitation and drainage are highly problematic. This is the legacy of almost fifty years of decadence and neglect, and a long-term village mentality. Much has changed, and much remains to be done. This was the focus of the 2013 street protests. “Imagine na Copa!” “If you think it’s bad now, imagine how bad it’s going to be during the World Cup (June 2014)!”—what locals said every time something went wrong in the years leading up to the Cup. Integration Social, economic, and political integration of the formal and informal areas of the city is the crux of the Rio’s proclaimed transformation strategy. The UPP force is Rio’s primary tool for addressing this; since the first outpost was installed in Santa Marta in December 2008, access has improved greatly between the “hill” and the “asphalt” as cariocas typify favelas versus the formal city. There has always been exchange between the two, particularly in terms of employment and in the realm of music (e.g. Carnival). But the mixing has until recently only taken place in pockets limited by spatial or temporal barriers. This is changing. Justice The poor have limited access to the justice system. Since the start of pacification, the Military Police have instituted a system where complaints can be registered and addressed. Progress is also being made in the area of mediation, with female UPP officers taking lead roles. Kids Social inequality is perhaps most evident in the daily lives of children in Rio. Families of means send their children to private school, which provide superior preparation for tuition-free public universities, compared to public schools. The last ten years have seen more scholarships to private universities and public university quotas for public-school graduates, however. Land Much land in Rio is publicly-owned, and has throughout the years been occupied by squatters—who rarely hold title to the land but do have deeds to their houses, bought and sold in a structured real estate market. Although the legal code describes the “social use of land” for housing, public policy so far hasn’t addressed gentrification, evident in the North Zone Complexo de Alemão and some South Zone favelas, as a result of pacification. In 2014, debate on the issue found a start. Lava-Jato (Car-Wash, venues where related money-laundering allegedly took place) is Brazil’s biggest corruption scandal ever, that broke in March 2014. So far, the court and investigators have focused on bribes, kickbacks and the padding of bills by the country’s top construction companies in contracts with Petrobras, the state oil company, located in Rio. Some of the money allegedly went to politicians and their campaigns. Petrobras investment, much of it in this region, has come to a standstill. This plus falling oil prices worldwide, have resulted in deep cuts in state and regional city budgets dependent on oil royalties. 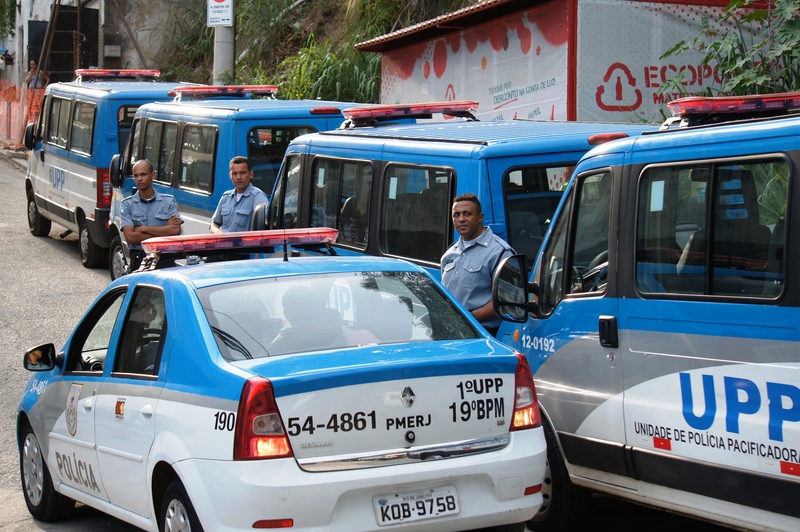 Lei Seca Rio’s drunk driving law, implemented in 2008, prohibits almost any amount of alcohol in the bloodstream of drivers. At night, “Lei Seca” temporary breathalyzer checkpoints spring up across the city. Drivers with up to .29 milligrams of alcohol per liter of expelled air face an almost R$ 2,000 fine and 12-month suspension from driving; over .3 milligrams earns drivers six months to three years in prison. The law has significantly reduced traffic accidents and deaths. Madureira Park The city’s biggest investment in the North Zone, this park, opened in 2012, has met with enormous approval from residents. Marcelo Freixo A character in the movie Elite Squad II was based on this Rio de Janeiro state representative, famous for organizing a legislative inquiry of milícia activity. Running against Eduardo Paes for mayor in 2012, he campaigned on the platform of cleaning up government corruption and organized crime, and conducting mega-event preparations in a more humane fashion, citing the statistic that it’s three times more expensive to remove favela residents to public housing than to upgrade existing homes and surrounding areas. Although Freixo had a tiny fraction of Paes’s campaign budget and television advertising time, he won almost 30% of the popular vote to Paes’s 64%. Maracanã Stadium The timeline and repercussions of enormous structural reforms to Maracanã have been much criticized. Controversy surrounded the privatization of space within the stadium itself and the group of indigenous Brazilians who were squatting in an adjacent mansion, evicted in March 2013. Many locals say they feel left out now, from a place that was central to the Rio way of life. Metrô Rio has 6.3 million residents to New York City’s 8.2 million, but for years has operated on only one subway line and one urban rail system. 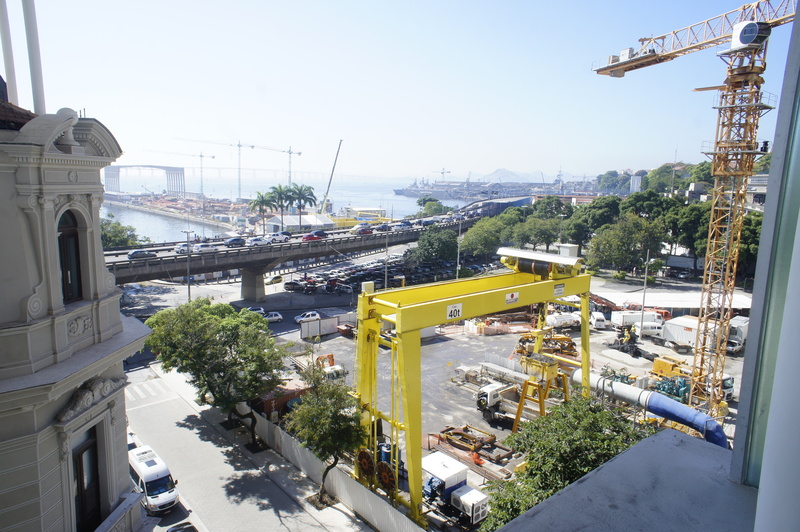 An additional line connecting Barra da Tijuca to Ipanema is currently under construction, but specialists predict it won’t adequately address demand. It may not be ready for the Olympics, either. Meu Rio Launched in September 2011, Meu Rio publicizes people-driven goals and initiatives in the city through hosting petitions on its website, setting participation targets, monitoring government programs and gathering and presenting facts. It amplified the voices protesting the demolition of the Indian Museum and a public school next to Maracanã stadium in early 2013 and currently hosts campaigns ranging from sanitation rights to public transportation improvements. 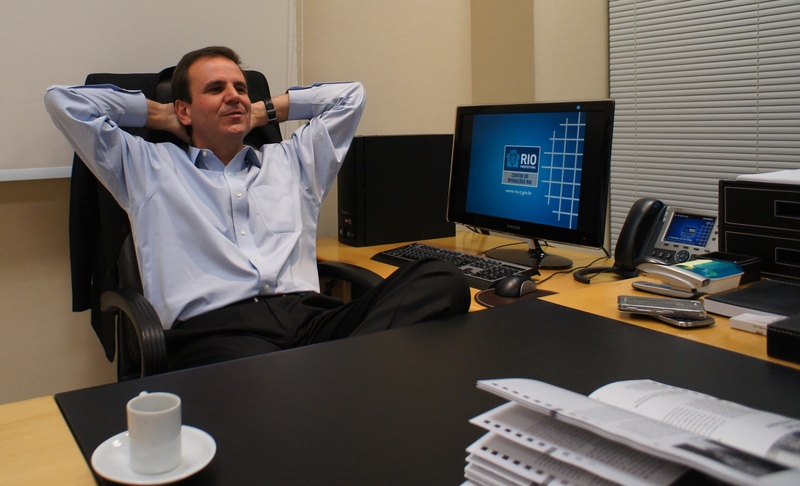 Its “De Olho” blog is the first true monitor of the Rio de Janeiro City Council. Morar Carioca (Carioca Living) This is Mayor Paes’ infrastructure and housing upgrading program for all favelas by 2020. Building on lessons learned from the Favela-Bairro of the 1990s and 2000s, also funded by the Inter-American Development Bank, the program has found support among urban planners and architects—who competed in a project contest for specific favelas. But most work has stalled. Milícias (Militias/Paramilitary Groups) Groups of off-duty or former police and firemen who extort neighborhood residents and businesses using violence and surcharges on services such as transit vans and utilities, such as water and gas. Like drug traffickers, milícias also restrict free speech in the areas they control. A 2008 state legislature inquiry found 171 territories in Rio to be under milícia control; they are the subject of the most popular film in the history of Brazilian cinema, Elite Squad II. Milícias are concentrated in the city’s West Zone and to a lesser extent, the North Zone and the low-income suburbs in the Baixada Fluminense, where the population is dense and low-income, and voting blocs are large. Minha Casa, Minha Vida (My House, My Life) Federal public housing program established in 2009 and expanded in 2011; has pledged to construct 96,000 units in Rio. In August 2011, then-Housing Secretary Jorge Bittar said that Rio had an affordable housing deficit of over 220,000 units. Families making under R$ 1,600 per month qualify to own a Minha Casa, Minha Vida apartment in buildings mostly located in the West Zone, over 30 minutes from mass transportation and at least one to two hours from the center of the city; a study by the Federal University of Rio called this the “peripheralization” of the program. Milícias have taken over some completed projects, evicting residents. Recently constructed units face additional issues of construction quality; flooding occurred in early 2013. North Zone This area, which begins in São Cristovão and includes Maracanã stadium, Madureira, the Igreja da Penha, and the favela complexes of Maré and Alemão, contains over a third of the city’s population. The North Zone includes parts of the city that had become safer thanks to UPPs—and it is also a transit channel for violence moving northward, as pacification presses traffickers out of the south. Olympics Rio won the 2016 Olympic bid with a campaign focused on the goal of social regeneration and the slogan that, with existing and planned infrastructure, “Rio is ready.” Its Olympic preparations include “legacy projects” of four Bus Rapid Transit lines, the Morar Carioca favela upgrading program, cleanup of the Guanabara Bay and the Porto Maravilha port revitalization project. It cites London and Barcelona as successful examples of “regeneration games” producing a positive impact, although Rio’s transformation to date doesn’t include the robust public dialogue that characterized preparations in Barcelona. Pacification This Rio state government policy, initiated in 2008 and based on taking territory previously controlled by drug traffickers, brought relative peace to the city—and, over time, debate regarding authoritarian and violent police practices. Beginning in the South Zone and moving into the North Zone (with one unit in the West Zone), favelas were selected for pre-announced raids and occupation by the Special Operations Police, or BOPE, designed to remove high-level traffickers and drug and weapon supplies. Once territorially secured, favelas then receive round-the-clock, newly-trained pacification police units, meant to ensure that reduced levels of violence are maintained. What pacification truly means, and which communities are truly pacified, is a subject of much local and international discussion. 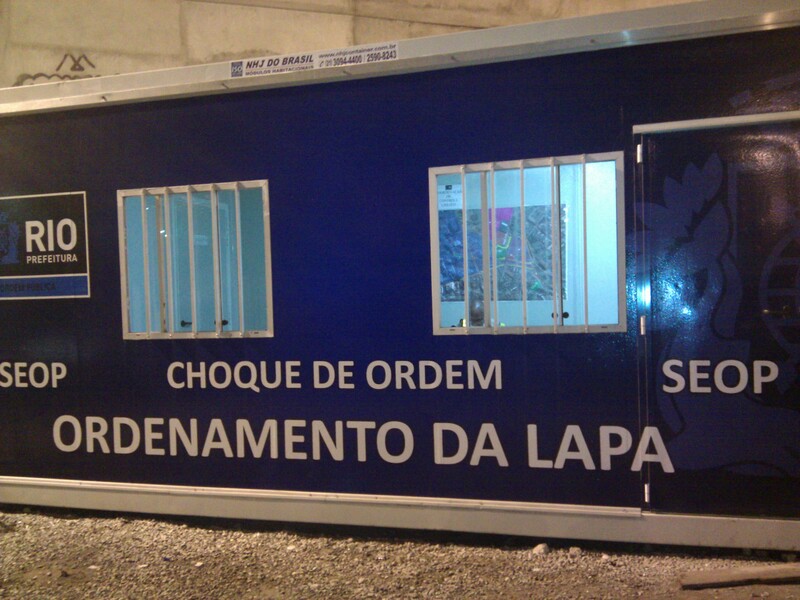 As of February 2015 there were pacification units in 38 favelas, covering a population of over 500,000. Five more were planned for the Maré complex of favelas, now occupied by the army. A new program to bring proximity policing to the rest of the state was launched in early 2015. Pezão Luiz Fernando “Pezão” (Bigfoot) Souza is Rio’s governor, elected in October 2014. A member of the PMDB party, an unreliable ally of the PT, Workers’ Party, his name has surfaced in unconfirmed reports of corruption in the Lava-Jato scandal. Police Part of the difficulty in delivering effective public safety is due to the fact that there are so many different police forces, long at odds with each other. These are the state-run forces of the enforcement-oriented Military Police (which includes the BOPE, the UPPs, the Highway Police, and the Tourist Police) and the investigative Civil Police; plus the city’s Municipal Guard and the CET, or traffic police). The federal government is responsible for the Forestry Police and the Federal Police, which polices national borders, and in this context, the international drug trade (Beltrame is a career member of the Federal Police). Pollution Current environmental issues to watch in Rio include water quality, especially in the Guanabara Bay and the Jacarepaguá lagoons, and air quality in the West Zone, where ThyssenKrupp operates a steel mill complex that residents say has put harmful dust into the air.Pollution monitoring is something that could be addressed by the municipal Operations Center that IBM developed. Governor Pezão has stated that Rio won’t meet Olympic vows to clean up Guanabara Bay. 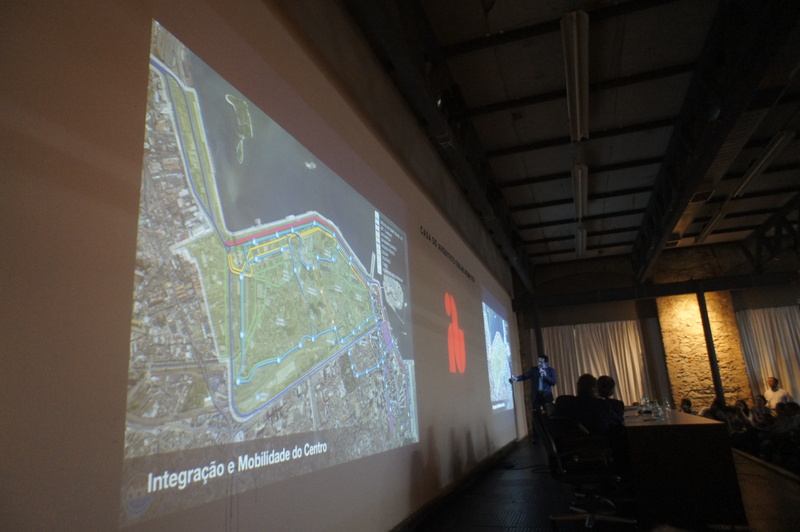 Port revitalization Rio’s port area is meant to be a showcase for urban development. As an Olympic Legacy project, it includes repurposing of old buildings, favela upgrades, favela home removals, and international and local real estate investment. A Columbia University low-income housing feasibility study commissioned by the city recommends the conversion of some unused properties—which make up 70 percent of the area—into mixed-income housing units. But no plans for this have been announced and housing initiatives have been left to market forces. The port area is home to the first favela in the city, Providência, where a cable car line was installed as part of Morar Carioca. This is meant to benefit residents. Many of them suspect, however, because of a large number of home removals, that the city in fact means to turn their favela into a key tourist attraction, especially for cruise ship passengers. Protests in 2013 and thereafter Millions took to the streets across the country, starting in June, to protest against inadequate urban infrastructure, particularly in the face of spending on World Cup facilities. Brazil has two systems for transportation, health, and education– one for the better-off and one for those who cannot afford cars, private health care and private schooling. Continuity and impact of the protests, which initially did shake up government officials and politicians, remain to be seen. Proximity policing is a new program (with some local antecedents) meant to close the gap between police and those they’re meant to protect, in the city’s formal (non-favela) neighborhoods, and, by 2018, to the entire state. Real estate development The West Zone has been the locus of frenzied new construction, thanks to Olympic expectations, metro and BRT construction. This is starting to lose its shine as incomes drop and economic expectations fall off. Some point to unchecked urban sprawl and environmental degradation while others, Mayor Paes included, say the transportation investment is needed to meet existing demand and the city is developing both in the North and to the West. While many speak of a city divided between informal and informal areas, or between North and South Zones, the actual split, currently, is between the West Zone and the remainder of the city. The public transportation upgrade could ultimately help to overcome the city’s biggest mobility hurdle — or cause intolerably high costs for government and other services in the region. Removals Anywhere from thirty to seventy thousand favela residents will lose their homes due to pre-megaevent infrastructure work, including favela upgrading, in the city. Human rights activists have criticized the manner in which most removals are carried out for lacking transparency, dialogue and adequate compensation, especially given Rio’s heretofore rising real estate values. Favela home removals have generated controversies surrounding land rights. 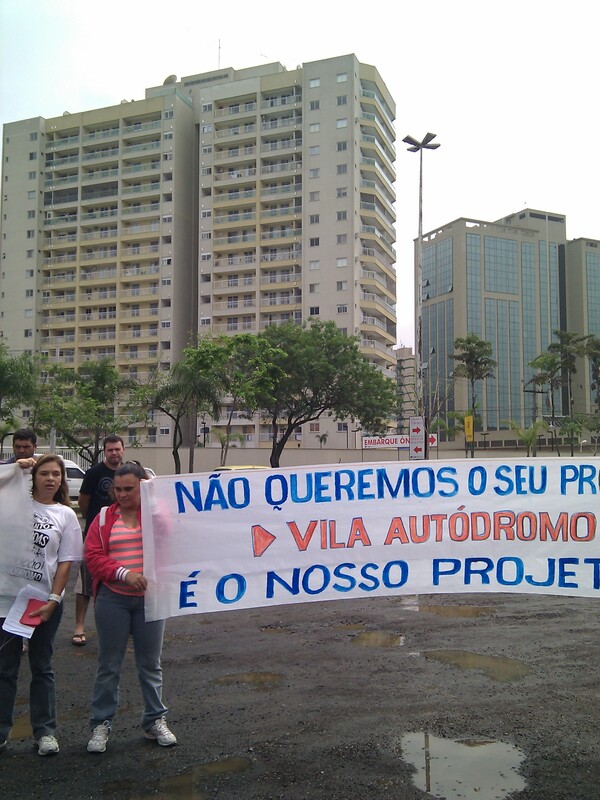 An emblematic case is Vila Autódromo, where the city is removing residents due to proximity to the future Olympic Park site, although they hold deeds to their homes. Sérgio Cabral Having stepped down near the end of his second term to give his vice-governor Luiz Fernando “Pezão” de Souza some election mileage, Cabral, the PMDB party governor of Rio de Janeiro state led the pacification policy but has been criticized for his close relationship with the heads of construction companies contracted to carry out public works. His government is also responsible for the expansion of the state’s health clinics, UPAs. His alignment with Paes and Rousseff enhanced the state’s capacity to execute these programs during his 2006 – 2014 mandate. His name has also surfaced in unconfirmed reports of participation in the Lava-Jato corruption scandal. Social UPP (UPP Social) The UPP Social was a program (renamed Rio + Social in late 2014) developed in 2010 to map and coordinate municipal social services in pacified favelas. Passed on from the state government to the city, its scope and responsibilities are still being debated— despite Beltrame’s pleas for improved social programs to complement his work. Currently, the UPP Social also promotes environmental, fitness, cultural, and educational activities. The R$1 billion ($500 million equivalent) that the city government budgeted in conjunction with the Social UPP through 2012 included spending on housing and urbanization projects, remodeling and construction of public buildings, trash collection, and performance bonuses for UPP officers. South Zone A little over a tenth of Rio’s population lives here, but the South Zone draws the most coverage in international and local media. It includes Leblon, Ipanema and Copacabana beaches, the first pacified favelas, and the most expensive block of real estate in Latin America. Even so, the sewage piped out to the islands in front of Ipanema beach since the 1970s is merely filtered, untreated. Statistics Official data about Rio de Janeiro can be found at the Instituto Pereira Passos, the city’s urban affairs data and strategic planning institute; the city’s online database of maps and facts and the Instituto de Segurança Pública, for police-based crime rates. Additional information is provided by the Institute of Research on Work and Study (IETS) and in this paper put together by the city’s business bureau, Rio Negócios. The country’s long authoritarian tradition makes it easier to find information about Rio’s geography than on school enrollment, attendance, and performance. Territory This is a commonly used word in Rio de Janeiro, partly because pacification focuses of the “taking” or “retaking” of territory that was left to drug traffickers. It’s relevant to the process of urban integration, as different groups, post-pacification, utilize the term to discuss loci of cultural activity and to communicate a growing sense of pride in favela origins. This all occurs in the context of the notion of the “cidade partida” (divided city), coined in 1994 by journalist Zuenir Ventura. UPP Launched in 2008, the Unidades de Polícia Pacificadora (Pacifying Police Units) were conceived by a group of Rio notables and thinkers, and partly inspired by governor Sérgio Cabral’s 2007 trip to Bogotá, Colombia, where he heard sociologist Hugo Acero Velasquez speak about the success of police reform undertaken there, focusing on “public security with citizenship.” In Rio, the UPP’s main goal is to bring down violence and overt use of arms; notably, drug traffic reduction is not a goal. The program, which now affects the lives of more than 35% of all favela residents, until mid-2013 was deemed by most to be successful, having improved public safety and also increased mobility in the city as a whole. Critics say that pacification has been carried out in an authoritarian manner with little regard for residents’ daily lives and needs — this is now, in 2015, starting to be addressed, by a new team. Although the homicide rate has fallen in UPP favelas by a reported 60 lives per 100,000 residents per year, the UPP’s efficacy in each individual community and the sustainability of the changes they bring remains a complicated question that is played out in very different ways across the city. This year, the state has begun to bring what is being called proximity policing to formal neighborhoods. Violence Beginning in the 1980s, muggings, shootings and kidnappings spread in Rio as governments retreated from poor neighborhoods and drug traffickers took over territory—terrorizing favela residents. Wealthier cariocas and businesses either fled to São Paulo or resorted to high walls, armored cars and security guards. Militia (see Milícias) forces arose in the 1990s, ostensibly to pick up where the formal police forces were absent. Investment, tourism and civic pride fell off. This began to change in 2009 due to oil money and other investment coming into the city, as well as socioeconomic change, which influenced changes in public security strategy (see Pacification and UPPs). Voting In 1932, President Getúlio Vargas made voting compulsory in Brazil, creating a useful tool for authoritarian and populist governments in a nation of low literacy. From 1964 to 1985, direct presidential elections weren’t held, and others weren’t fully free. As of the first post-dictatorship direct presidential election, in 1989, Brazilians treasured their renewed electoral responsibilities. But this is changing. Many cariocas interviewed by RioRealBlog during the 2012 mayoral election—for which citizens had one vote for mayor and one vote for city council—said that they didn’t care who they mayor was and were accustomed to their lives continuing regardless of politics. That election saw a significant rate of abstention, 20.45%. West Zone Rio’s West Zone houses over three million residents, almost half the city’s population. The majority of new public housing is being built here, although planners have described it as a “dormitory region” devoid of nearby employment, saying that “to encourage the production of social housing in this region would only deepen the city’s socio-spatial segregation and lead to the formation of more ghettos of poverty.” Most neighborhoods in the West Zone are over an hour’s bus ride away from the city center, though this may change with the June 2014 inauguration of the Transcarioca dedicated bus lanes. Barra da Tijuca, where many successful North Zone merchants and professionals moved in the 1980s and on, is the exception to the socioeconomic profile of this area. World Cup The final match of the 2014 FIFA World Cup was played in Rio’s newly-redone Maracanã stadium (see Maracanã). You Organized forums, for cariocas to voice their opinions and mobilize regarding the city, are on the rise. Some examples include the digital activism group, Meu Rio, the metropolitan think-and-do-tank, Casa Fluminense, and Favela Não Se Cala, in which residents of favelas across the city give their perspective on pacification, upgrades, and regulation. *Prepared with the invaluable assistance of Catherine Osborn. Updated in February 2015. Excellent page, honest perspectives, with great links to more information. Obrigada!! wow, this really is amazing ! excellent overview. posted and retweeted. muito obrigado ! Love this ABC!!!! Sharing this on FB e aprendendo sempre contigo Julia! Thanks for this great blog! Bjs! Awesome who’s who, and what’s what, about Rio. Can’t wait for the update. Thanks! Ótimos comentários, verdadeiros, quero dizer. Pois, infelizmente, muitos deles me fazem sentir vergonha! Parabéns! Se fosse em português você teria muitos problemas….